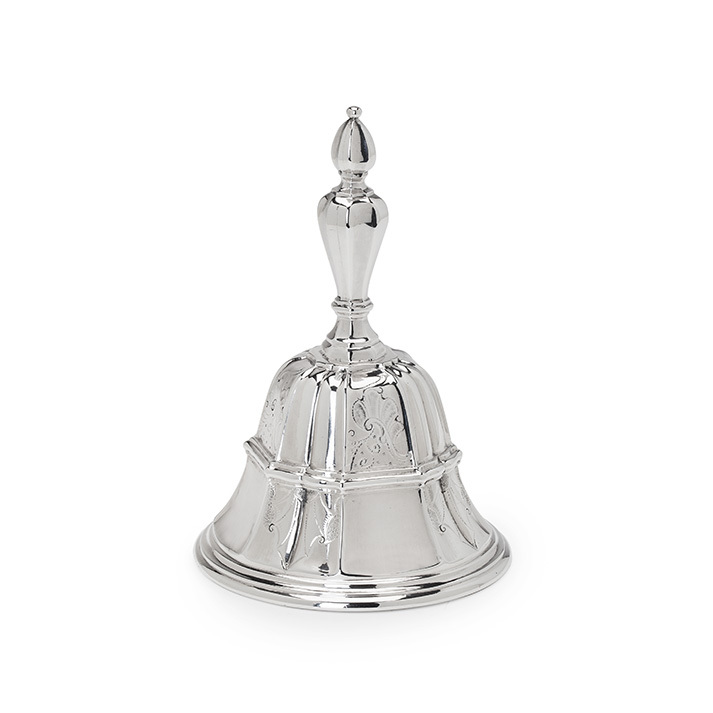 This silver Régence table bell with moulded girdle and border, fluted and ribbed into panels, with alternating rocaille engraving, is fitted with a silver clapper. The baluster-shaped handle with moulded girdle is divided into concave en convex panels. Fully marked at the reverse, displaying an assay stripe. Jan Diederik Pont (ca. 1701-1767) was born in Bremen, where he was trained as a silversmith in Johan Gräfenstein’s workshop. 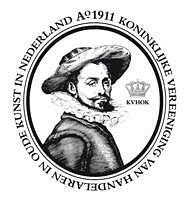 Like many fellow German silversmiths at that time he moved to Amsterdam, attracted by its thriving economy. In 1729 he became poorter (burgher) of the city and married Maria van Rixtel in 1731. Their son Willem Pont, followed in his father’s footsteps and became master in 1755. Father and son worked together at Rozenstraat, Amsterdam, until Jan Diederik’s death in 1767. -Christie’s London, 27 February 1974, lot number 93, for a similar table bell, dated 1753.